The global rice seeds market is a progressive one due to depleting arable land that has necessitated newer agricultural practices for increased output for the growing world population. Rice is a staple diet in several regions of the world, thus research for higher output rice seeds is integral to key research initiatives in this space. Research for higher yield seed varieties, GMO seeds, and newer pesticides are to name some initiatives undertaken by agricultural researchers to attain such goals. The report provides a succinct analysis of the global rice seeds market with a qualitative and quantitative analysis of growth indicators and competitive structure of the rice seeds market. The report delves into demand drivers, growth challenges, and opportunities to help markets stakeholders formulate strategic business decisions. 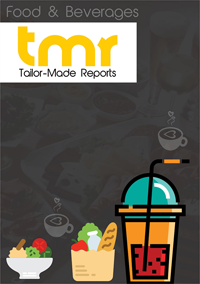 Growth rate projections of the overall market and market share of key segments are highlights of this report. The vast consumption of rice in several parts of the world is a key factor behind the growth of rice seeds market. Easy production of rice and availability of rice in several cheap varieties accounts for huge consumption of rice especially among the poor. In parts of Africa, low economic growth necessitate sustainable food to feed large poverty-stricken populations. Rice serves to be a sustainable food as it is cheaper to produce and the crop does not require a typical climate. To serve these needs, massive research is underway by government research bodies to develop newer rice seed variants. Such initiatives are providing tailwinds to the global rice seeds market. Globally, with changing temperatures and rising pollution, loss of soil fertility is leading to depletion of arable land. For rice production, rice plantations have increased marginally that has necessitated to improve crop yield using improved quality seeds. This is providing a boost to the rice seeds market. For humanitarian and economic reasons in south East Asia, biotechnology makes a mark in rice research. Golden Rice touted as the Great Golden Hope of Biotech Crops is devoid of commercial concerns of profit motives or intellectual property rights. Developed by a non-profit NGO, the intellectual property (IP) rights of the rice has been donated. With the move, the rice will be given freely to farmers for local breeding programs. To that end, keen farmers will develop newer rice seed varieties to feed the most vulnerable people on the planet. The global rice seeds market can be split into five key regions, namely North America, Asia Pacific, Europe, South America, and Rest of the World. North America, among them, holds prominence in the global rice seeds market. Extensive infrastructure for research for newer rice varieties and presence of experts are key to the growth of North America seeds market. Asia Pacific is a key region for rice seeds. Rice being a staple diet of several countries in South East Asia and Far East Asia, substantial research is underway to develop newer varieties of rice seeds. Poverty in several countries of the region is necessitating development of newer seed varieties for increased output at low cost. Key players having a significant presence in the global rice seeds market include Bayer, Syngenta, Nuziveedu Seeds, and DowDuPont, UPL Advanta Seeds, Kaveri Seeds, Mahyco, Rasi Seeds, JK Seeds, Krishidhan Seeds, BASF, Rallis India Limited, SL Agritech, Guard Agri, Hefei Fengle Seeds, and Long Ping Hi-Tech Seeds. Research organizations having a significant presence in the global rice seeds market include International Seed Federation, International Union for the Protection of New Varieties of Plants, National Seed Corporation, and International Society for Seed Science.